Kenya primary schools can now access information online in an initiative to improve standard of education in the country. eKitabu, a digital platform where primary schools’ pupils will compete in essay writing using 500 to 800 words both in English and Kiswahili languages in public as well as private schools will improve digital learning in the schools. 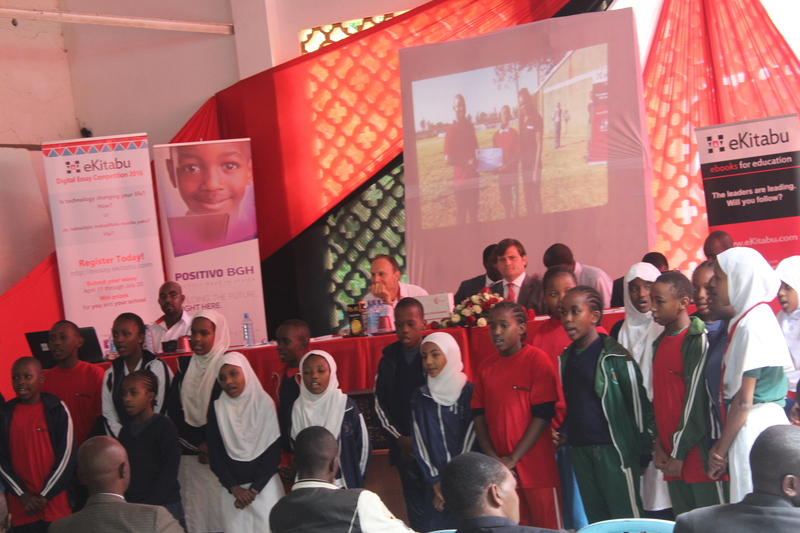 “We attracted 433 schools in the year 2015 and this year we are planning to reach all the schools in the 47 counties nationwide,” he said. Clurman added that the competition is only open to upper primary pupils from classes five to eight where the winners will be awarded with scholarship fund, computing devices, digital content, certificates and be recognized nationally. The Department of Information Communication Technology (ICT) in the Education Ministry, Francis Karanja said that the government will soon distribute laptops to over 22,000 primary schools between now and December, 2016. “The integration of ICT is to empower every pupil to be able to acquire new skills and to be at par of any information,” said Karanja. The Kenya National Union of Teachers (KNUT) Nairobi branch representative Hannington Ochieng’ said that the union should not be known for strikes but be recognized for professional development of teachers and pupils . He called upon the organizers to also recognize the teachers with tangible goods since they are part and parcel of the students participation in the essay competition. The participants should submit their essays on the eKitabu website www.eKitabu.com before July 20, 2016 with the grand final scheduled for September 28, 2016 at Sarit Centre, Nairobi.